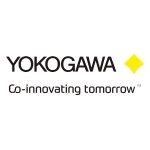 TOKYO–(BUSINESS WIRE)–lt;a href=”https://twitter.com/hashtag/Yokogawa?src=hash” target=”_blank”gt;#Yokogawalt;/agt;–Yokogawa Electric Corporation (TOKYO:6841) announces that it has been included in the 2019 Global 100 Most Sustainable Corporations in the World Index (Global 100). This is Yokogawa’s first time on the Global 100, one of the world’s leading sustainability indices. Now in its 15th year, the 2019 Global 100 was disclosed in Davos on January 22nd by Corporate Knights, a Canadian media and research company focused on clean capitalism, to coincide with the World Economic Forum. About YokogawaFounded in 1915, Yokogawa engages in broad-ranging activities in the areas of measurement, control, and information. The industrial automation business provides vital products, services, and solutions to a diverse range of process industries including oil, chemicals, natural gas, power, iron and steel, and pulp and paper. With the life innovation business, the company aims to radically improve productivity across the pharmaceutical and food industry value chains. The test & measurement, aviation, and other businesses continue to provide essential instruments and equipment with industry-leading precision and reliability. Yokogawa co-innovates with its customers through a global network of 113 companies spanning 61 countries, generating US$3.8 billion in sales in FY2017. For more information, please visit www.yokogawa.com.